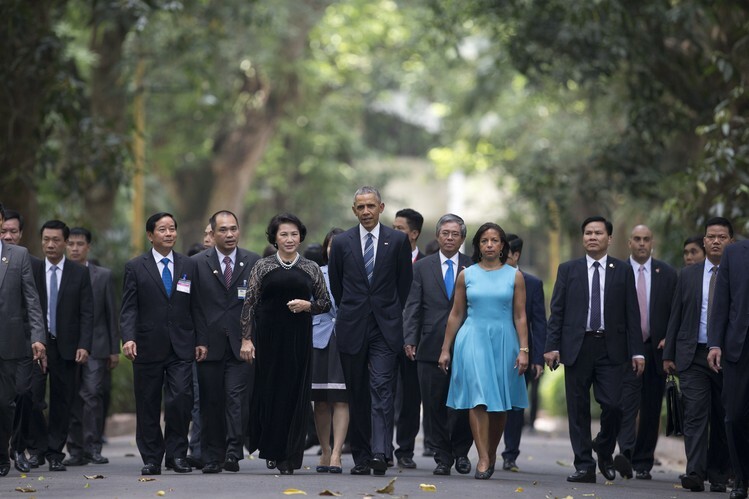 HANOI—The U.S. will lift a decades-old ban on sales of lethal arms to Vietnam, a major policy shift that President Barack Obama said would end a “lingering vestige of the Cold War” and pave the way for more-normal ties between the two nations. The move comes amid heightened concern about China, as well as criticism that the Obama administration had given up one of the levers the U.S. still had to press Vietnam into allowing greater freedom of expression and political dissent in the closely controlled communist state. 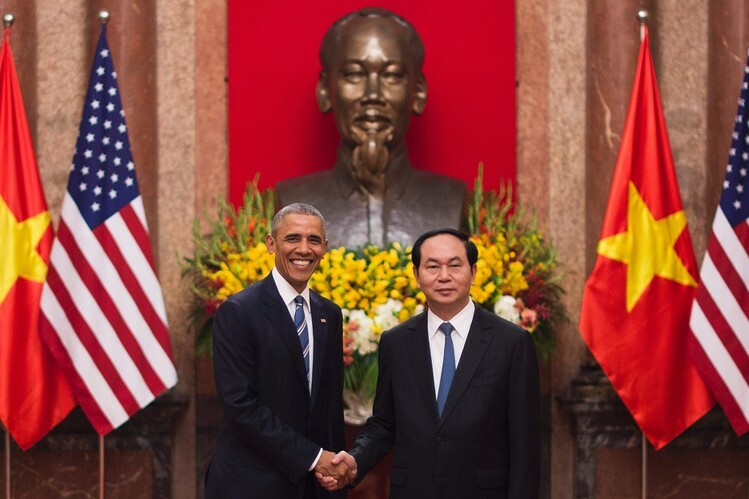 Mr. Obama, at a joint news conference Monday with Vietnamese President Tran Dai Quang, said arms sales will have to meet certain requirements, including conditions related to human rights. He said the U.S. is “fully lifting the ban on the sale of military equipment,” with the aim of ensuring Vietnam has the ability to protect itself. As Beijing asserts its territorial claims in the South China Sea, the policy shift suggests Washington sees improved security ties with Vietnam as more pressing than extracting further political reforms from Hanoi. The decision, though, had its detractors. 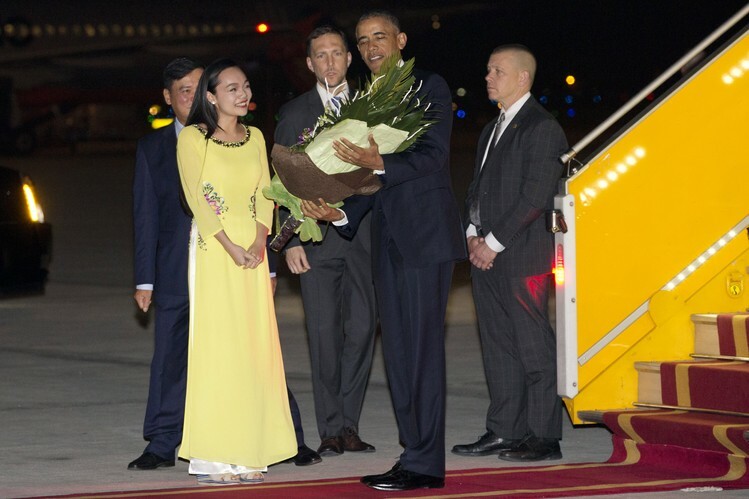 “In one fell swoop, President Obama has jettisoned what remained of U.S. leverage to improve human rights in Vietnam—and has basically gotten nothing for it,” said Phil Robertson, deputy director at the New York-based Human Rights Watch. 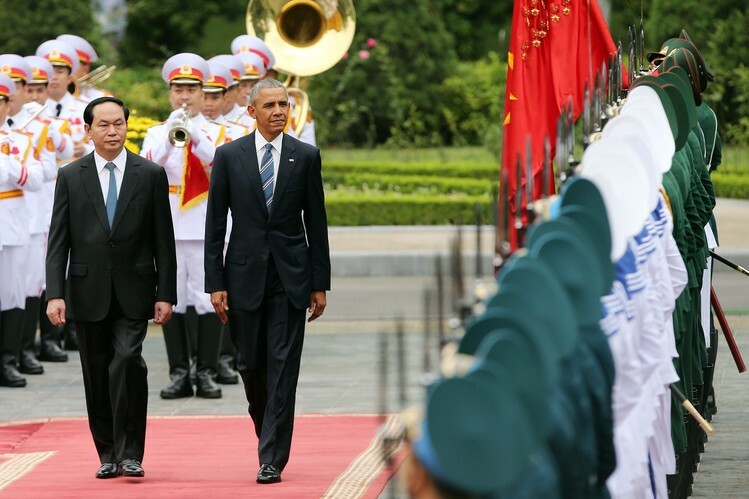 Implicit in the president’s remarks were worries the two countries share about China. The U.S. has backed smaller countries against Beijing in calling for regional disputes over resources and territoryto be settled by multilateral talks, though it has taken no position onthe disputes themselves. 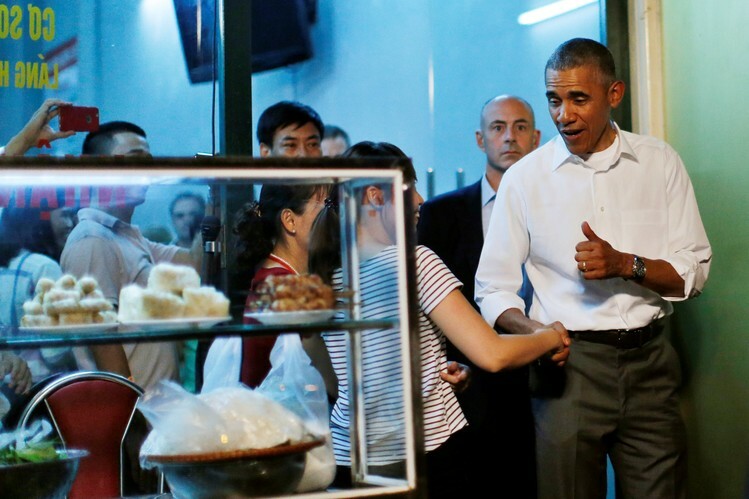 “There is, I think, a genuine mutual concern with respect to maritime issues with respect to the United States and Vietnam,” Mr. Obama said, stressing the importance of maintaining freedom of navigation in the South China Sea. 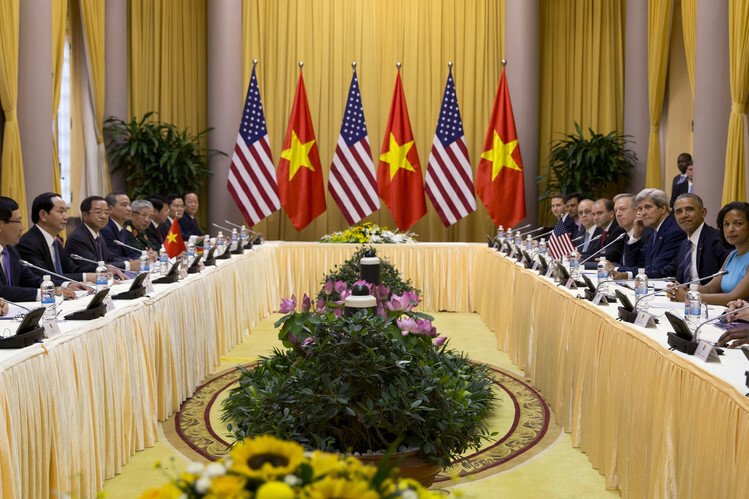 Security experts said the U.S. decision represents a concerted effort to embrace Vietnam as an important trade and security partner. 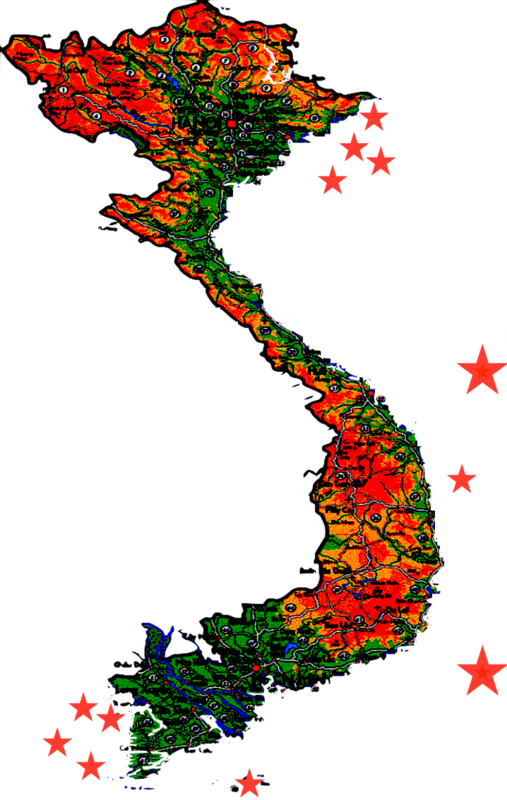 It builds on the normalization of diplomatic relations between the former Vietnam War adversaries in 1995, some two decades after U.S. troops departed and North Vietnam’s communist fighters secured a victory over the south. The two countries went on to sign a bilateral trade agreement in 2001. 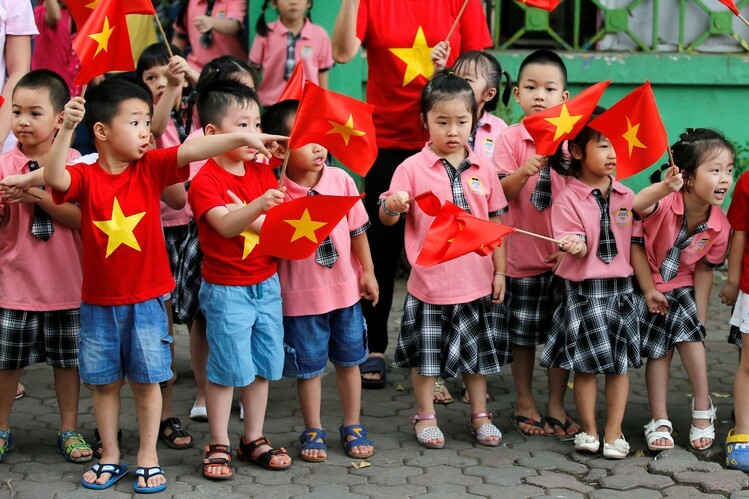 Lifting the embargo also removes a key argument from conservative members of Vietnam’s Communist Party against closer ties with America. “For years they have used this issue to slow down the relationship with America, but now they can’t,” said Carlyle Thayer, emeritus professor and a Vietnam specialist at the Australian Defence Force Academy in Canberra. Mr. Thayer said that while in many respects the lifting of the embargo is symbolic, it potentially opens the door for Vietnam to acquire sophisticated coastal radar and other intelligence and surveillance equipment to counter Beijing’s growing sway in the South China Sea. Ben Moores, a defense analyst at consultancy IHS Jane’s, said Vietnam has a roughly $13 billion shopping list of military equipment, including patrol aircraft, tanks, combat jets and attack helicopters. So far, much of Vietnam’s arms budget has been spent on buying weapons and equipment from Russia. 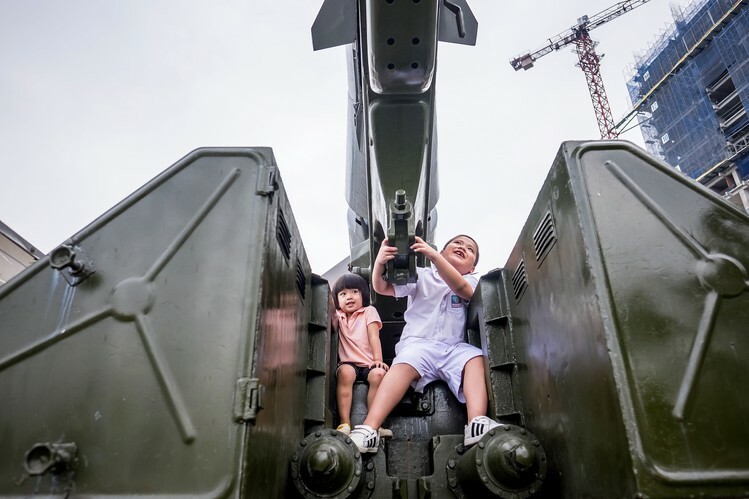 But because of China’s familiarity with Russian weapons systems—China is also a significant buyer of Russian hardware—Vietnam is aiming to develop new suppliers. In recent years, China has built extensive facilities on some of the atolls and reefs it controls in the region’s disputed waters, raising concerns in Vietnam, the Philippines and elsewhere about Beijing’s ability to extend its military power through the South China Sea, which carries trade traffic amounting to over $5 trillion a year. China’s reaction to the end of the arms embargo was muted. 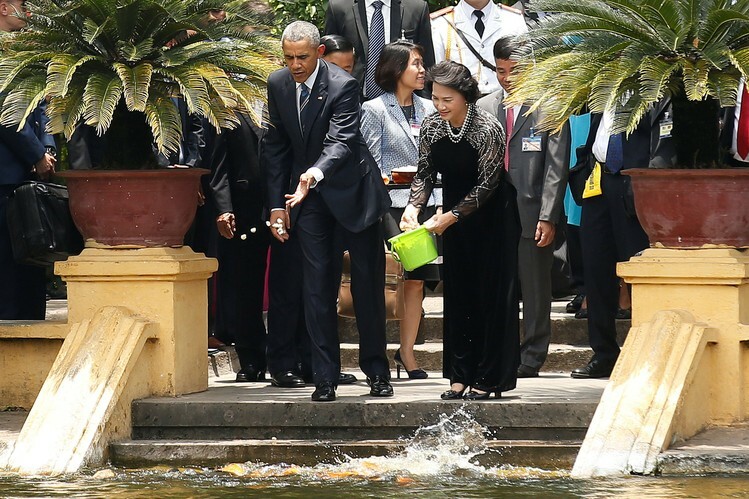 Hua Chunying, a foreign ministry spokeswoman, said that as a close neighbor, China welcomed Vietnam’s developing a normal and friendly relationship with any country, including the U.S. Like Mr. Obama, she described the embargo as an unnecessary remnant of the Cold War. 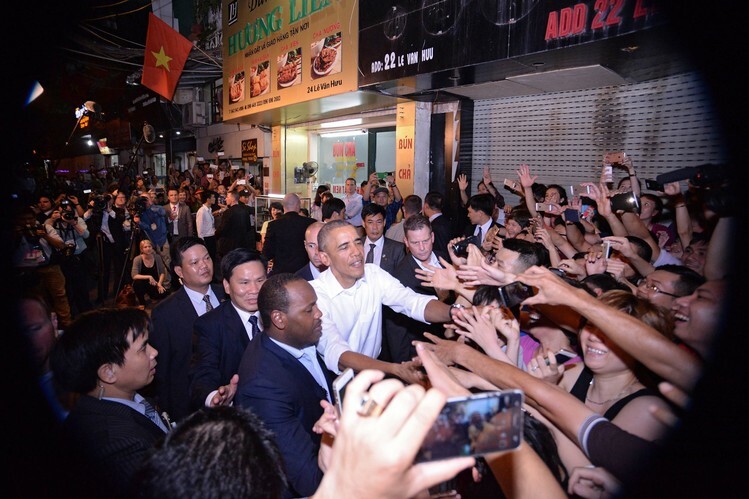 In a nod to continued U.S. concerns about human rights in Vietnam, Mr. Obama on Tuesday is scheduled to meet with civil-society leaders. The country arrested several bloggers and activists and sentenced them to lengthy prison terms earlier this year, in the latest of many crackdowns. 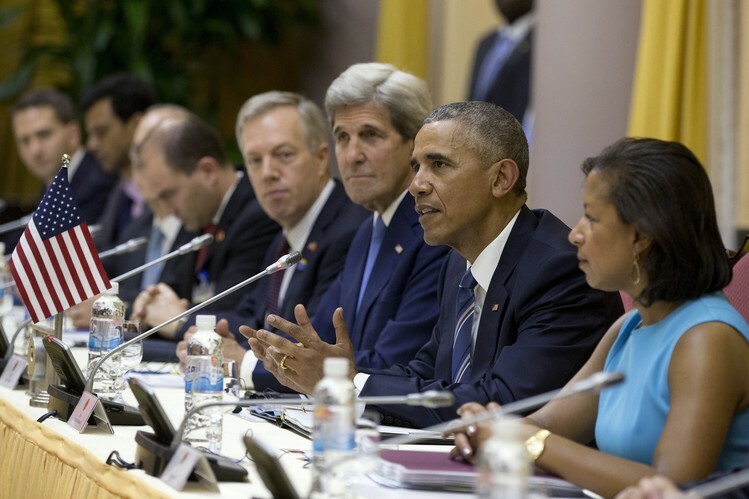 Mr. Obama also expressed confidence that Congress will pass the Trans-Pacific Partnership this year,despite election-year political hurdles faced by the 12-nation trade agreement, which both the U.S. and Vietnam have signed. 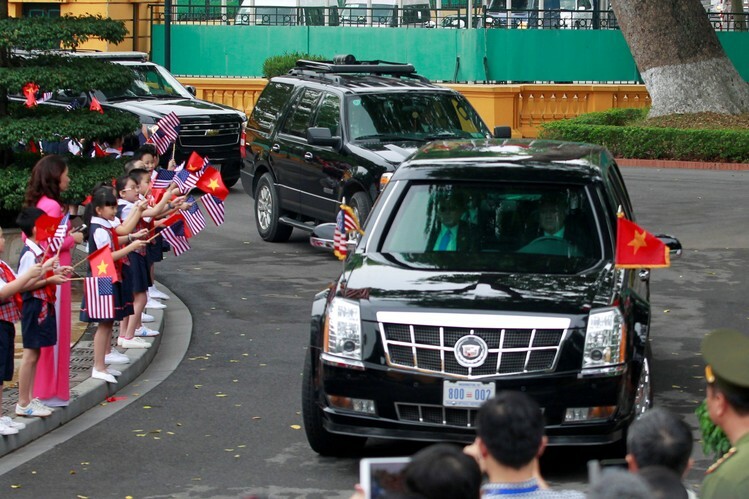 Crowds of people, including children, lined the route of Mr. Obama’s motorcade to the Presidential Palace on Monday, some waving American flags. 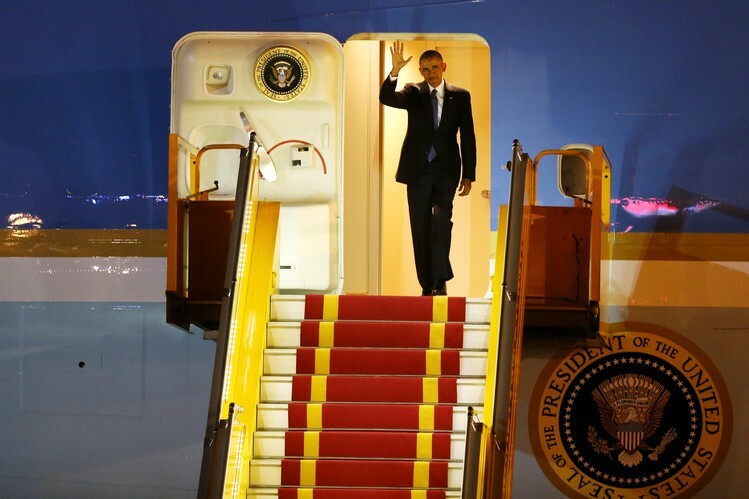 Mr. Obama departs Vietnam on Wednesday for Japan, where he will attend the Group of Seven summit with other world leaders and become the first sitting American president to visit Hiroshima, site of the first U.S. atomic attack. “It’s a job of historians to ask questions and examine them, but I know as somebody who has now sat in this position for the last 7½ years, that every leader makes very difficult decisions, particularly during wartime,” he said in an interview with Japanese broadcaster NHK. —Vu Trong Khanh and Robert Wall contributed to this article.